This article focuses on the stories that can be told about design’s past, to underscore design’s importance to current business operations. Of particular interest in this article are stories about the interface between design and business. Correspondence to Dirk Snelders, Eindhoven University of Technology, Department of Industrial Design, P.O. Box 513, 5600 MB Eindhoven, The Netherlands, h.m.j.j.snelders@tue.nl. The author would like to thank Oscar Person for his insightful comments. The article is written for Thor Helmer. Bio: Dirk Snelders is associate professor at the Department of Industrial Design at Eindhoven University of Technology, and visiting professor at the International Design Business Management (IDBM) program at Aalto University in Helsinki. He has a background in psychology and marketing, and it is from these fields that he has developed his current research interest on the role of design in business. Dirk Snelders has published on aesthetics, the importance of novelty and surprise in design, cross-cultural design, and service design. His work has appeared in journals such as Design Studies, Design Issues, the British Journal of Psychology, and the Journal of Product Innovation Management. Some while ago, during a visit at the Evergreen Aviation and Space Museum in McMinnville, Oregon, an American veteran of World War II showed me around. During his tour we stopped at a Spitfire fighter plane, flown by the British Airforce during World War II (see figure 1). It stood next to a German Messerschmitt plane, its main opponent at the time. The veteran admired both designs, each for very different reasons. In his opinion, the Messerschmitts were really the better planes, not just technically, but also because of their superior handling and good looks. 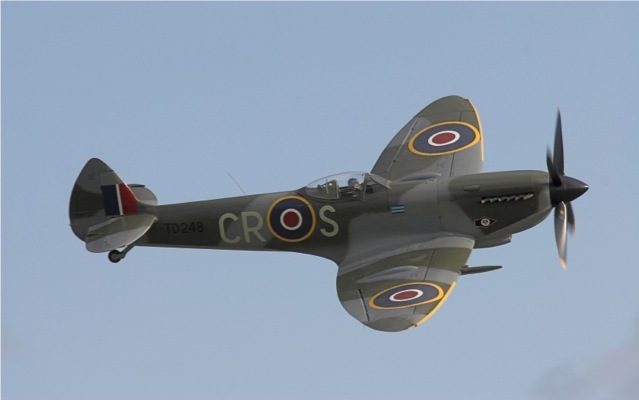 However, he pointed out that the Spitfire plane had one key strategic advantage over its German nemesis that made it help win the war: the Spitfire had been the easiest of the two planes to learn how to fly in. At the end of the war, it was this ease of use of the Spitfire that made it the winning plane over Western European skies. By that time most experienced pilots had either been killed or captured by the other side. With both planes predominantly flown by inexperienced pilots, the Messerschmitts had become an easy prey for the Spitfires. The tour reminded me of the importance of user-friendly designs that are intuitive in their operation. And I remembered how this aspect in design had gained in importance after the war, when ergonomics came to be seen as a crucial discipline in design, not just for fighter planes, but also for many durables sold in consumer markets. It is also likely that the Spitfire was not the only wartime example of the value of ergonomic design. With the mass conscription of ever younger and less experienced soldiers during the war, ease of operation and intuitive use must have been a crucial value in the design of all military equipment. * Meikle (1998), who cites the story of the Big Ben alarm clock by Henry Dreyfuss, has noted something similar. Apparently, Dreyfuss had added a weight to the base of the clock to improve its stability and quality impression. Meikle reports how this story has been often cited in the design world, but that it had remained unchecked until he opened the clock and did not find a weight inside. A brief internet search neither confirms nor disqualifies the story of the American war veteran. The information points to the fact that Spitfire had been designed well before the start of the war, making it unlikely that the crucial value of ergonomics had been foreseen by its designer. In the past, I have already worked with others on cases and theories to show that many qualities of design are unforeseen by designers (Lloyd & Snelders, 2003; Person & Snelders, 2010). This implies that the best stories about design are those we can tell in hindsight, stories about the past of design. When it comes to the importance of storytelling, Oak (2006) has demonstrated how oral history in design exists within a context of persuasion. Her view is that people tell stories about the history of design to highlight the relevance of some aspects in contemporary design. According to Oak, “specific terms related to the past are used to support arguments about current design work” (p.345). So in the case of the Spitfire story, we can see that it underlines designʼs crucial importance in achieving certain values. Think of a user-centered designer who needs to argue for the value of his expertise for business to a top executive. Surely, the story about the Spitfire that demonstrates the value of user-centered design would be a good one to tell before going into the details of current projects and what exactly they delivered? This article will focus on the stories that can be told about designʼs past, to underscore designʼs importance to current business operations. Readers should bear in mind that the goal is to help designers in claiming the effectiveness of their work to business, and for this purpose we care more about instruction than validation. Of particular interest in this article are stories about the interface between design and business. Which moments in designʼs past provide examples that illustrate the strategic value of design for business? As sources, I am relying on popular stories about design and famous examples, many of which taken from a popular television series on design, and books on the history of design, design management, and marketing. * In addition I am relying on accounts about the value of design for business told to me by design and management professionals over the last twenty years. The structure of the article is as follows. I will first discuss the problems that designers encounter when they have to argue for the value of their work for business, and conclude that popular stories about designʼs value in the past may be of help in this. Next, I will rubricate the success stories of design according to the way in which they can be of value to business. By doing so, we might see that some values of design are related to ʻleadingʼ success stories in certain historical periods. When this is the case, we will not withhold readers a tentative analysis of crucial developments in those periods that can be connected to a particular value of design. At the end of the article I will discuss what is currently the most dominant success story in design, the story about user-centered design. * Particular sources are the BBC series ʻGenius of designʼ (2010), popular handbooks and influential articles on design history (notably Betts, 2004; Buchanan, 1998; Forty, 1986; Meikle, 2005; Alessi, 1994; Sparke, 1986), business history (Brand & Rocchi, 2011; Keith, 1960; Kotler, 1997; Pine & Gilmore, 1999), and design management (Blaich & Blaich, 1993; Borje de Mozota, 2004; Best, 2006). Designers face a general difficulty in explaining the value of their work for business. Their influence on leading financial indicators is very indirect. As an activity that makes plans for production (Roozenburg & Eekels, 1995), design often sits at the beginning of product development projects, and its effect on business performance is confounded by a large number of business functions that co-determine performance, but whose influence is exerted at later stages of product development and launch (such as engineering, branding, sales, etc.). * This means that, whenever designers do something to advance a business goal, they depend on other functions in a company (quality production, good pricing strategy, strong advertising a motivated sales force) to actually achieve those goals. This also means that, in order to stake a claim in the success of a new product, design needs to compete with other functions in a company that have had a more direct impact on performance. * This point has been made earlier for by Hertenstein and Platt (2000). In addition, there is a debate to what extent design has a similar position for the design of services. Some of the literature on service design stresses that design activities in services should assist earlier made plans of user-provider communities that focus on intangible processes of value creation (e.g., Sangiorgi, 2011), implying that designʼs role comes at later stage in the development of services than for products. At the same time, however, such a modest role of design for services would make its contribution to the business value of services more directly visible. Others, however, including myself (Secomandi & Snelders, 2011), have argued that design can also play a role at earlier stages of service development, and is not confined to ʻaccessorizingʼ and earlier planned, intangible service delivery process. Within this view service designers will face the same problem as industrial designers in having many delayed contributions to business that can be easily overshadowed by other business functions. Things become even tougher when we take into consideration that the effect of design on business performance depends for a large part on second order effects. Designers often claim that they focus on the use value of products, as much as, or even more than the exchange value of products. By doing so, the effect of design on business performance becomes for a large part a second order effect, since use value mainly has effects on sales and profits in the longer run, through repeat purchases and a good word of mouth from experienced users to future potential users. Thus, effectiveness claims of designers in terms of business performance are highly problematic, and a designer having to make such claims will have a hard time to do so. Outside the scope of single design projects, the importance of design for business performance has been confirmed by a number of studies. Most notably, research shows a) that investment in design is associated with relatively higher profits, profit growth and sales growth (Gemser & Leenders, 2001, Gemser, Candi & van den Ende, 2011), and b) that highly acclaimed design efforts of companies are associated with higher growth of their stockmarket value (Design Council, 2004). Thus, design has been shown to be instrumental in achieving business goals as sales, profit, and stockmarket value. However, as much as these studies have specified performance indicators for business, as little have they done to specify the type of design activity that has been conducive for achieving these effects. In trying to find a role for design that is as big as possible, these studies have tended to define design broadly, implicitly blurring industrial design with development and engineering design (Gemser and Leenders, 2001), or communication design (Design Council, 2004). And, when trying to specify design activities, they typically separate design into activities aimed at functional and symbolic value, which is something most designers and design researchers find highly problematic (Alexander, 1964; Bonsiepe, 1999; Fallan, 2010; Person & Snelders, 2012; etc.). The above research provides a good reminder to business to invest in design, but it does not support designers to claim that their particular (often specialized) work can be of value to business. A better place to be looking for this might be in cases where companies hire external design consultants. Such consultants are selling their expertise, and remind business incessantly that they are strategic partners in value creation. A good example is frog design, one of the biggest and most generalist design consultants in the world. On its website, frog has put a number of statements to define its capacities, and that makes it stand out against other (often more specialized) design consultancies. The statements are shown in Table 1, and include many clues for designers to define the value of their work for business. Relating these self-advertised capacities of frog to its self-professed history (frog design, 2012; Esslinger, 2009), we can see that the various design capacities of frog have developed over time, slowly cumulating into the list in Table 1. Given the history of frog design, the first and last listed capacities (fanatically improving the world, bringing humor and spirited fun) are likely to have been part of the company since its start in 1969, while other capacities (like choreographing cultural change) refer back to the time when it became the famed design consultant for Sony in the 1970s, and others (like being cost driven) to capacities it has been developing more recently. When taking a more general perspective, the statements of companies like frog design can best be seen from a ʻdynamic capabilitiesʼ perspective (Helfat et al., 2007; Teece, 2009). From this viewpoint, business organizations survive by fostering the capabilities of their workers and business relations, and by stimulating that these capabilities develop in response to constant changes in the environment. The dynamic capability perspective provides us with important insights in the way that design can tell stories about its importance for business. First, this perspective focuses on design as a slowly developed capacity, one that cannot be developed overnight. Design activities, even when placed in outside design consultancies like frog, tend to have a natural connection to in-house development and production processes of business. Many capacities are heavily related to business processes such as engineering and marketing, and must be integrated with these processes to become successful. This means that design is not a hit and run activity based on a few good ideas, but rather an activity that needs time and effort to come to results for business. Secondly, the capacities of design have their own history. For instance, the capacities of frog developed at one stage in time, and for one set of business clients, are brought to the next set of business clients for better or for worse. Even though Yang, You and Chen (2005) have argued that new technologies for sketching and prototyping can make old capacities redundant, in reality we see that capacities from designʼs past are still being cherished as essential to design. This means that the list of capacities of design becomes ever longer, something that has already been noted by Valtonen (2005). Thus, based on the dynamic capabilities view, we can assume that a) that the capacities of design are in a slow, but constant state of flux, and b) that capacities of designers are broad, with later developed capacities adding to, rather than replacing many earlier developed capacities. This means that the problem for design in claiming success for business boils down to the following question: How can design claim that it has a strong and standing tradition in creating value for business? In other words, what are the success stories of design? * The distinction between early and late example is inspired by the work of Kunkel (1999), who looked to the role of design over a product and brand life cycle, and who noted that there are iconic examples of design at early stages of a life cycle, followed by later ultimate and retro examples. Design for production This capacity of design is about the activities of designers to deal with the drive of companies to optimize productivity levels. Design here has to work within the boundaries of a company that wants to produce goods at ever-lower costs. This business orientation is validated by a number of characteristics in the environment of firms. Typically, companies need to invest heavily in cheap production when they cater for fast growing markets where demand is predictable but price sensitive. In such situations, development costs are likely to be high, since they include investments in expanding production facilities and distribution networks. Given that markets are predictable, but also price sensitive, the goal of the company is to produce at high volumes, using the economies of scale to bring its cost price down, in the knowledge that a lower selling price will drastically increase demand. The capacity of designers that is called for here stems from an ambition of production oriented companies to have their cheaply made products not appear valueless. Thus designers here perform the task of retaining as much value as possible, given an often downgraded quality standard. In the list of frog design (Table 1), this capacity is mentioned under point 7, which deals among others with design being vigilant and cost driven. An early example of how this capacity developed stems from the early periods of the industrial revolution. 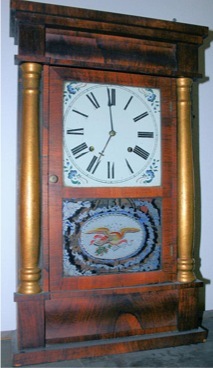 It is the example of early industrial clocks in the US, popularised by Meikle (2005). Meikle describes how industrial clock makers quickly expanded the market for clocks in the US at the beginning of the 19th century. Before the industrialisation of clock production, crafts-based clock makers worked with high skilled metal workers, and would typically produce 10 to 15 clocks per year per workshop. This practice meant that the brass movements sitting inside a clock were an expensive luxury. Within a timespan of some 30 years, the clock-making business had changed dramatically, with movements made by non-skilled workers, and the annual production of some clock makers running up to 300.000 clocks (see figure 2 for an example). Clocks had become cheaper and cheaper over these years, making it an affordable mass produced industrial good for an upcoming middle class. What is interesting for the capacity of designers is that these new industrial clocks were sold as full working clocks, the movements complete with their case and dial, which make up the ʻuser interfaceʼ. These interfaces were designed according to styles adopted from higher quality, luxury crafts products (often a style of a European court or from antiquity). Although the inner parts of industrial clocks were very different from those of crafts-based clocks, from the outside these clocks still tried to appear like luxury clocks. Thus, the capacity of the first industrial designers that was called for was to retain as much of the perceived value of expensive crafts products within the confines of cheap, industrial production. The clock example is an early example, but one could say that throughout the 19th century designers tended to imitate the styles of crafts products in order to retain as much of the perceived value as possible for much cheaper industrial products. However, the capacity of design for production is not limited to products where crafts set the standard. We can see later examples of design for production for industrial products where crafts would not directly set standards for industrial products. A famous example here is the T-Ford, which was produced from 1909 until 1927, and was redesigned over and over to reduce costs. In its (re)design one can find many parts that are associated with more expensive luxury cars (which themselves were appealing again to quality standards of crafts-based coaches and furniture). Late examples of this approach can be found in the computer industry, and there crafts standards are of even lesser importance. For instance, the first designs of a new type of computer (i.e. the first desktops, the first notebooks, the first notepads) are found to set quality standards that designers typically try to retain in later designs of cheaper, knock-off products. The business logic driving design in all these examples is the same: to produce as cheaply as possible, while trying to uphold perceived (and earlier established) quality standards as much as possible. This capacity of design is about the activities of designers to stimulate the sales of products for which demand is uncertain. This capacity is validated by a business drive to take larger and larger shares of a market. Such an orientation makes sense for companies who aim for a fast return of their investment in new product development and production facilities, and who operate in a market where the total industry output has become more than what is demanded by the market. These companies operate in a system of competition that economists call monopolistic: companies seek to conquer those segments of a market where its position is the strongest and most secured (thus running near monopolies within these segments). In this way, direct head-on competition on price is avoided, and customers in market segments are supplied with products that better fit their specific needs. In such a situation, selling many new products quickly to a specific market segment becomes a way of keeping competitors at bay. The capacity of designers that is called for here is to design products that allure, and that turn people in targeted market segments into buying consumers. Thus, products need to be designed in ways that attract attention, support media advertising, and create a desire to try out the product. In the list of frog design (Table 1), this capacity has to do with changing minds, touching hearts, and moving markets (point 6), and with a description of the designers talent as an art and science (of persuasion), being both business and culture (point 8). There are many examples in design that highlight this capacity for selling, many in connection to the styling movement in the US before and after World War II. A very famous example is the styling section of General Motors. In reaction to massive sales success of the T-Ford, this company launched a number of different cars, each targeted to a different market segment and with a clearly distinctive expression. Under the bonnet, however, there were many parts that were shared by the cars, so GM could still – to some extent – enjoy the economies of scale, while offering less generic cars than the T-Ford. GMʼs strategy was highly successful, and the company was able to win back market share on the T-Ford, by offering more desirable products at a marginally higher price (for a longer description of GMʼs strategy, see Gartman, 1994). With respect to this design capacity, it is perhaps good to point out that a strong focus on selling only sustains and aggravates the problem of overproduction in an industry. For this reason, design for selling has been critiqued for its contribution to obsolescence and pollution, with the 1950s American cars being equated to dinosaurs: wasteful, and unfit to survive in a world more and more dictated by scientific rationality (Maldonado, 1958). There may be a point to this critique, because we can see that design for selling can often lead to oversized, wasteful designs. For example, many ʻdesignerʼ versions of consumer electronics, such as the Alessi line for Philips (designed 1995 by Alessandro Mendini), or the Rowenta coffee maker (designed 2004 by Jasper Morrison) tend to be oversized in the same way as the 1950s American cars. The underlying problem might be the same as well: these tend to be products for which the (outside) expression of the product has been the departure point, and the underlying engineering has been done with existing components taken from the shelf. If the inside components cannot be changed, then the easiest way for designers to get more freedom of expression is to enlarge the outside shell, making it bigger than needed. However, it would be a caricature to state that design for selling is by definition connected to being oversized and unneeded. In the early examples of General Motors it was already acknowledged that a car stylist should never forget “the utility of his design” (Earl, 1955, p.5). Even Maldonado (1958), who critiqued the stylists for producing dinosaur cars, acknowledged that many designs by American stylists like Henry Dreyfuss and Walter Dorwin Teague still were quite ʻheavenly.ʼ To conclude, what seems to be essential to design for selling is not its connection to waste, but its connection to a belief that consumers are hesitant to buy (into) new products, and that an attractive offer can boost sales enormously. Such a belief may be valid for relatively expensive durable goods that consumers aspire to but are inexperienced with. This design capacity focuses on creating high product quality, as expressed by high performance, reliability and longevity standards, and a seamless interaction between product and user. The required design capacities for such qualities are typically fostered by design (educational) institutions that aim to promote certain national or international values through design. An example is the case of the German Werkbund before and after World War II (see Betts, 2004). However, the developed capacities have also found a commercial logic, among companies that are positioned at higher price segments of markets, where the focus is more on profit than on cost or sales. A drive for quality in companies is generally considered to be a good idea. In many industries, the companies that provide higher quality levels in a market also tend to enjoy higher profit margins. Contrary to a logic of driving down cost and making products accessible to people, in many markets there are also consumers willing to pay extra for higher quality products. Since quality levels are high, such consumers are usually also a good source of free – and very credible – publicity. The demand from high quality, relatively price-insensitive segments can also drive the development of design capacities. In the example of frog design, we can see this in statements about being fanatical about improving the world, that their work outlasts movements and fads, and that quality is their non-compromising obligation (Table 1, points 1, 4, 5). What is also telling in the quality drive of frog is that it is seen as an obligation. Thus, the assumption here is that designers and the companies they work for should proactively strive for high quality products, regardless of what markets want. This drive towards quality becomes apparent in the famous “good form” (Gute Form) campaign of the postwar German Werkbund. This institution promoted high quality products for mass markets, only to find that their favoured designs ended up becoming the style of the smaller market segment of the new German elites (see Betts, 2004). Figure 3. Prices of Porsche models on the Dutch market between 1978 and 1992 (all prices are in corrected for inflation and listed in Dutch 1990 guilders). * After the 1990 crisis, Porsche revised its strategy and started paying more attention to customer demands. It succeeded in doing so when introducing the first Boxter models in 1996, at a price level of about 70% of its predecessor, the 968, and produced on the basis of a cost effectiveness program (which included shared body panels with other Porsche models, and a very plastic-looking dashboard). After the Boxter had become a success, Porscheʼs website declared its philosophy was to be customer oriented, and that the last years had shown that Porsche and it employees had ʻunderstoodʼ this now. This design capacity is about satisfying user needs, by products that are easy, pleasant, or interesting to use. This capacity is about design activities that put the user center stage. It aims at a profound understanding of users, one that takes the user experience of his/her world as a departure point for design. Another aspect of user-centered design is that it is appreciative of the potential creativity of users to co-design or co-produce the products and services rendered to them. This last aspect of this design capacity is also expressed by a tendency in the designs themselves to be styled in an unassuming, playful manner, often with room for users to self-customize the product. This capacity of design tends to coincide with an orientation of companies towards creating strong brands. The logic that is followed here is that companies should care about their long term relations with buyers. The assumption is that users make ʻsovereignʼ decisions, based on their personal experiences with products in the past. Note that this implies that the decisions of users are informed by previous purchases of products, potentially by the same company. This means that, within this view, companies compete at a brand level rather than a product level. So instead of focussing on the sales and profits made by single product offerings, the focus now is on the longer-term creation of a brand whose products are closely tied to the needs of particular groups of users. Through branding, the company can develop relations with users, turning them into customers who recommend the brand to others, and who are enthusiastic about trying new product offerings by the same brand. Thus, companies with a strong and loyal brand following will not only benefit in the present, but also in the future, with products that have not been developed yet. A strong brand thus becomes an equity of the company, an expression of goodwill that is highly valued by financial markets. This allows companies to grow very fast, since they can invest in future business with borrowed capital, and with a low interest rate. Turning back to the example of frog design, we can see this capacity is expressed in statements that frog has become part of the cultural fabric, that clients are the key to its success, and that humor and spirited fun are the essence of frog (Table 1, points 3, 9 and 11). It could also be argued that user-centered design is the most defining capacity frog design. The decision at the start of the company to always write its name in lower case points to the tendency to understate its importance. Next, some of the most important products in frogʼs history can be seen as user-centered. The Sony Triniton of 1975 by frog design was one of the first black televisions, with the Sony brand name as its only noticeable feature. Its design, as well as the advertising that surrounded it, stressed that the value of televisions does not reside in the object, but in what users do with the object. The Triniton was presented as a mere conduit to the television programs users wanted to see, and the only thing that stood out in this conduit was the Sony brand name. The four success stories presented above point to a variety of ways in which design can be of value to business. Depending on the context, a business can decide to set itself goals in terms of costs, sales, profit, or goodwill, and the required design capacities may differ according to these different goals. In some respect, the stories can be historicised, because some contexts and business orientations may have been dominant during some periods in the history of industrial design. For instance, a focus on cost makes more sense when markets are underdeveloped, and companies must make huge investments in value chains in order to deliver products to people who are mostly very poor. In many western countries, this situation was more characteristic for the industrial revolution than for other periods, when value chains were already established in most industries, and most people were wealthier and more experienced. This is not to say that a focus on cost is now completely outdated. On the contrary, as our examples show, there are market niches and parts of industry where a focus on cost still makes sense. In addition, we want to avoid the suggestion that a focus on cost is slowly dying out, and has no place in the world of the future. Who knows what the future will bring, and which story of the past will be most applicable to the world of tomorrow? To end with their thoughts, the ideas behind user-centered design were developed as a reaction against what was seen as a dangerous growth of a consumerist culture. For many Ulmians, user-centeredness was not meant only to confirm peopleʼs expectations about a comfortable life in a private domain, but also to confront them with an obligation to lead socially responsible lives. This meant that user-centered design, when it was first conceived, was not addressing people only in their role of playful consumers, but also as serious democratic citizens. However, in its application in business, user-centered design has become mainly an instrument for building strong brands, by supplying people with playful, unassuming objects that mostly addressed private comfort needs. Ulmians like Maldonado and Bonsiepe (1964) wrote about this misrepresentation of their ideas in business, stressing that designers also have a more provocative role to play. We can see that influential writers in design are more and more echoing these thoughts, pointing to the importance of design to critically confront users with their social needs (e.g. Dunne, 1999), and to the imperative of a design for happiness instead of overconsumption (Desmet, 2011). It is hard to say, at this stage, whether such calls go beyond user-centered design, as has been claimed by Verganti (2009), or whether they merely ʻcompleteʼ this important capacity of design. To conclude, I started with the Spitfire example in this article to illustrate the relevance of stories about designʼs past for the present. In my mind, Spitfire has become an icon of the value of ergonomic design, influencing postwar, postindustrial design practice. It taught Nazi Germany a lesson, one that designers in the Federal Republic of Germany may have taken at heart when they worried about the misleading guidance of consumerist and purist values in design. It also seems a story we have not fully digested yet, and that is still the main story about the value of design for business. When I was at the Aviation and Space Museum in Oregon, I bought a small model of the Spitfire, and gave it to a little boy who liked war toys (luckily his mother did not mind). When I see him play with the plane, my hope is that the veteranʼs story is true, and that one day I will tell him how that plane has been special. * For an overview of the thinking at Ulm, see Betts (2004, chapter 4). For a good collection of late Ulmian texts see http://ulmertexte.kisd.de/autoren.html (retrieved 27 April 2012). In specific, the texts of Maldonado (1958), and Maldonado and Bonsiepe (1964) have been of the biggest influence in this article. Alessi, A. (1994). The design factory. London: Art & Design Monographs. Alexander C. (1964). Notes on the synthesis of form. Cambridge, MA: Harvard University Press. Best, K. (2006). Design Management: managing design strategy, process and implementation. Lausanne: AVA. Betts, P. (2004). The authority of everyday objects: A cultural history of West German industrial design. Berkeley, CA: University of California Press. Blaich, R., & Blaich, J. (1993). Product design and corporate strategy: Managing the connection for competitive advantage. New York: McGraw-Hill. Bonsiepe G. (1999). Interface: An approach to design. Maastricht: Jan van Eyck Akademie. Borja de Mozota, B. (2004). Design management: Using design to build brand value. New York: Allworth Press. Brand R., & Rocchi, S. (2011). Rethinking value in achanging landscape: A model for strategic reflectionand business transformation. Eindhoven: Philips Design. Buchanan, R. (1998). Branziʼs dilemma: design in contemporary culture. Design Issues, 14 (1), 3-20. Design Council (2004). The impact of design on stock market performance – An analysis of UK quoted companies 1994-2003 (retrieved 3 May 2012 on http://www.idsa.org/sites/default/files/The_Impact_of_Design_on_Stock_Mar ket_Performance.pdf). Desmet. P. (2011). Design for happiness; Four ingredients for designing meaningful activities. In N. Roozenburg, L.L. Chen & P.J. Stappers (Eds. ), 4th World conference on design research (IASDR), Delft, October 2011. Dunne, A. (1999). Design Noir. In C.J. Overbeeke & P. Hekkert (Eds. ), Proceedings of the 1st International Conference on Design and Emotion (pp. 83-85). Delft: Delft University of Technology. Earl, H. J. (1955). The Look of Things. Detroit: General Motors Corporation / Dept. of Public Relations. Esslinger, H. (2009). A fine line: How design strategies are shaping the future of business. Hoboken, NJ: Jossey-Bass. Forty, A. (1986). Objects of desire: Design and society since 1750. London: Thames and Hudson. Gartman, D. (1994). Harley Earl and the Art and Color Section: The birth of styling at General Motors. Design Issues, 10 (2), 3-26. Gemser G., Candi M., & van den Ende J. (2011). How design can improve firm performance. Design Management Review, 22 (2), 72-77. Gemser, G., & Leenders, M.A.A.M. (2001). How integrating industrial design impacts on corporate performance. Journal of Product Innovation Management, 18(1), 28-38. Helfat, C., Finkelstein, S., Mitchell, W., Peteraf, M., Singh, H., Teece, D., & Winter, S. (2007). Dynamic capabilities: Understanding strategic change in organizations. Malden, MA: Blackwell. Hertenstein, J. H., & Platt, M. B. (2000). Performance measures and management control in new product development. Accounting Horizons, 14(3), 303-323. Keith, R.J. (1960). The marketing revolution. Journal of Marketing, 24, 35–38. Kotler, P. (1997). Marketing management: Analysis, planning, implementation and control. Upper Saddle River, NJ: Prentice Hall. Kunkel, P. (1999). Digital dreams: The work of the Sony design center. New York: Universe Books. Maldonado, T. (1958). Neue Entwicklungen in der Industrie und die Ausbildung des Produktgestalters. In: http://ulmertexte.kisd.de/155.html, accessed 27 April 2012 (ulm 2, 2.10.1958, S. 31). Maldonado, T., & Bonsiepe, G. (1964). Wissenschaft und Gestaltung. In: http://ulmertexte.kisd.de/218.html, accessed 27 April 2012 (ulm 10.11.1964, S. 10). Meikle, J. L. (1998). Material virtues: On the ideal and real in design history. Journal of Design History, 11 (3), 191-199. Meikle, J. L. (2005). Design in the USA. Oxford New York: Oxford University Press. Lloyd, P., & Snelders, D. (2003). What was Pilippe Starck thinking off? Design Studies, 24, 237-253. Oak, A. (2006). Particularizing the past: Persuasion and value in oral history interviews and design critiques. Journal of Design History, 19 (4), 345-356. Person, O., Snelders, D. (2010). Brand styles in commercial design. Design Issues, 26 (1), 82-94. Person, O., Snelders, D., & Schoormans, J. (2012). Re-establishing styling as a prime interest for the management of design. Advances in International Marketing, Forthcoming. Pine II, B.J., & Gilmore, J.H. (1999). The Experience Economy: Work is Theatre & Every Business a Stage. Boston, MA: Harvard Business Publishing. Roozenburg, N.F.M., & Eekels, J. (1995). Product Design: Fundamentals and Methods (Product Development: Planning, Design, Engineering). Chichester, UK: Wiley. Sangiorgi, D. (2011). Transformative services and transformation design. International Journal of Design, 5 (2), 29-40. Secomandi, F., & Snelders, D. (2011). The object of service design. Design Issues, 27 (3), 20-34. Sparke, P. (1986). An introduction to design and culture in the 20th century. London: Allen & Unwin. Teece, D.J. (2009). Dynamic capabilities and strategic management: Organizing for innovation and growth. Oxford: Oxford University Press. Yang, M.-Y., You, M., & Chen, F.-C. (2005). Competencies and qualifications for industrial design jobs: Implications for design practice, education, and student career guidance. Design Studies, 26, (2), 155-189. Valtonen, A. (2005). Six decades – and six different roles for the industrial designer. In: In the Making (Proceedings of Nordes, the Nordic Design Research Conference, Copenhagen, Denmark, May 2005). Verganti, R. (2009). Design-driven innovation: Changing the rules of competition by radically innovating what things mean. Boston: Harvard Business Press.